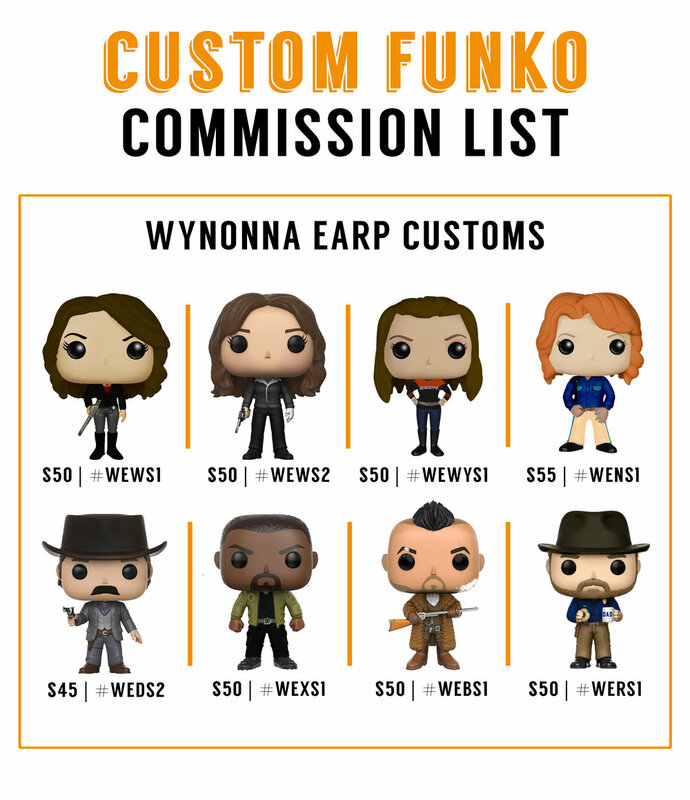 Starting December 1st, I will be open for custom Funko commissions. Here is some basic information, specifics to come next week. LIMITED QUANTITY OF EACH, ONE CUSTOM PER PERSON. SHIPS WITHIN 2 WEEKS OF ORDER DATE. US ONLY. Posted on November 25, 2017 by Jordan Barber and tagged Wynonna Earp commissions.